RECODA has a lean operational structure, staffed by specialists with a wealth of knowledge and experience. 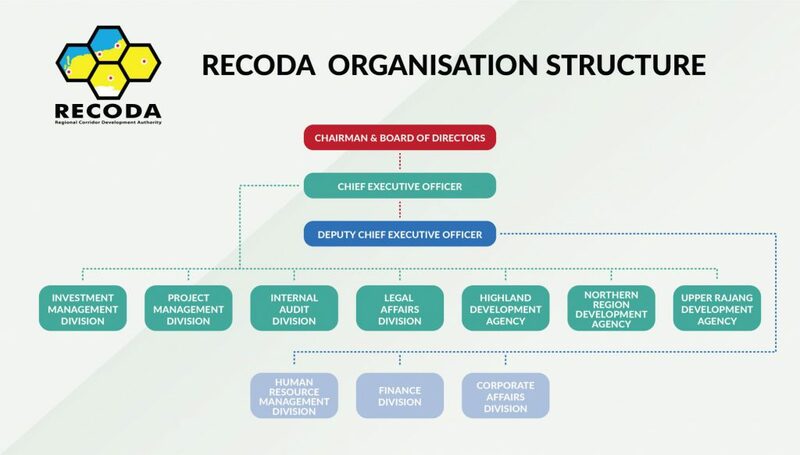 RECODA operates an integrated management framework that has, at its core, the stated goals of extending its client focus, leveraging SCORE’s natural resources and geographic location, and building strategic industrial alliances. Key personnel report directly to the Chief Executive Officer, Datu Haji Ismawi Haji Ismuni.